In today’s crowded world, air pollution is one of the biggest concerns of citizens across the globe. Air is an essential part of life yet in most cases it’s difficult to gauge whether an area is toxic or safe. The makers of Sprimo are looking to change up that space with the world’s smallest air monitor. The company, Sprimo Labs has been around since 2015. They are based out of Santa Clara, California and they’ve received a total of $735k in funding from two rounds. The monitor is designed to help users detect smells from paint, pollution, chemicals, cleaners, smog, perfume, glue, and numerous other substances. It works by checking the air for volatile organic compounds (VOCs) wherever the user is. For those unfamiliar with the term, VOCs are compounds typically found in paints, glues, varnishes, and many cleaners. A few of the substances Sprimo can detect to include: formaldehyde, acetone, alcohol, ethanol, ammonia and numerous other substances. It isn’t able to detect carbon monoxide, however. For durability, Sprimo is built out of high impact ABS plastic and stainless steel. It’s equipped with a certified Apple Lightning connector with gas detector technology that can detect thousands of VOCs. To use the device, users only have to plug in the device, and they’re ready to go. The companion mobile app has two viewing modes. A real-time view and regional mode. The real time view is updated once a second and shows temperature, humidity, and air quality. The regional view conserves power by getting a reading once or twice a minute while showing the reading and location on a map. There’s a crowdsourcing component to Sprimo. The regional map mode can display air quality readings from regional air monitoring stations at some airports and government buildings. Additionally, Sprimo users can share their app findings for others to see. 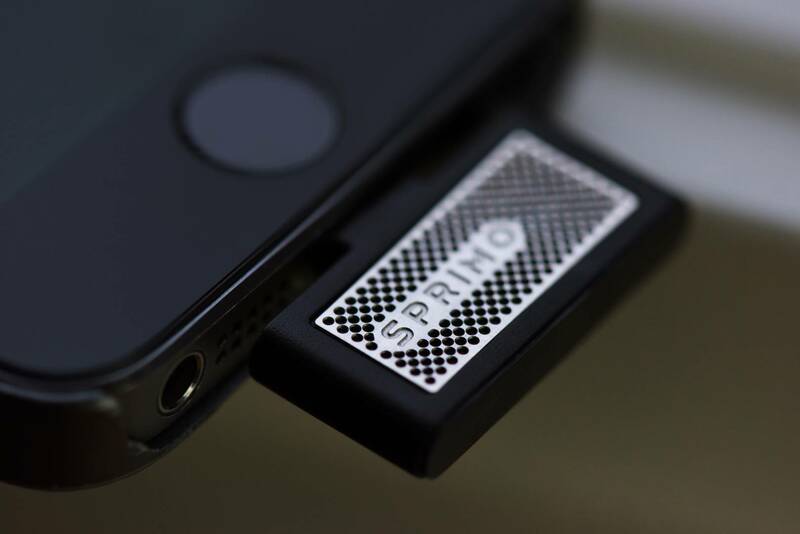 So far, the makers of Sprimo have raised over $33,000 with an estimated shipping date of July 2017. Pricing for the device starts at $30 which is 25% off the retail price. At the moment Sprimo is only compatible with the iPhone; however Android support is coming later this year.